Limited hay supplies have cattle producers looking at opportunities to grow more forage yet this fall. An early maturing crop is going to open the door for use of row crop acres to grow more forage. 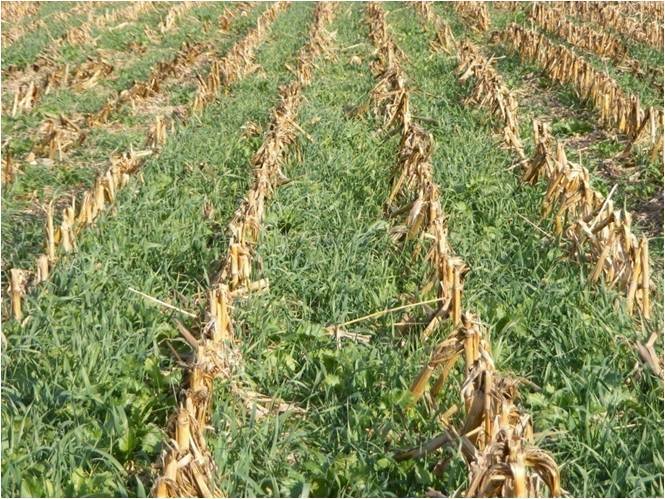 Many producers have already identified the opportunity to put Oats, Cereal Rye, Turnips, or other forage crops in this fall. As a result, expect to see shortages in seed supplies, higher priced seed, and some delay if seed is not in stock. However, don't let this keep you from consulting your seed salesman. They will have options for you. I feel cover crops may be as good of an option as ever. The ability to grow more forage will be very valuable this year. Hay prices continue to be elevated and burdensome on ration costs. Forage produced from fall covers could prove to be an extremely wise investment. Q1: What timeline do I have to get fall forages planted? A1: Oats and Turnips: Prior to September 1st; Annual Ryegrass: August 15th through September 30th; Cereal Rye or Triticale between September 1st and October 15th – Normal growing period is 60 to 75 days. If you find yourself after October 15th, Cereal Rye is your best option. Q2: What are the seeding rates? Q3: How much rainfall do I need to have a successful seeding and somewhat normal yields? A3: It is nice to recieve ½ to 1 inch within 10 days of planting and another inch of rain in the next 20 days. 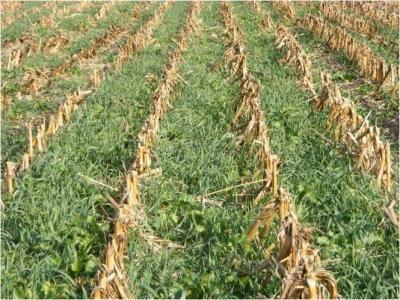 If cover crops are aerial seeded, two good rains are needed. The first for incorporation of the seed and the second to feed the germinating plant. If cover crops are drilled, the first rain is not as important, because the seed is already in the ground. Q4: What about herbicide carry-over? A4: It can be an issue. Luckily most parts of Illinois have received adequate rainfall, however some herbicides have a longer residual than others. Idle wheat acres should be safe. Planting on corn silage acres or after corn should spur investigation into the herbicide package used on those acres before planting. Check the herbicides used or do a bio-assay. You can grab some soil from different spots in the field, plant your seeds, water for a week or two and see what you get. Normally, if there has been over 1 pound of Atrazine applied problems are likely. Q5: Are any crops less sensitive to herbicide carry-over? Q6: What is the best specie for forage production? A6: Oats are the best for fall tonnage. Cereal Rye is the best for spring tonnage. Triticale is great for spring-harvested forage and doesn't mature as fast as rye. Brassicas are a great protein source, but best in grazing situations. I would recommend a blend of cover crops. Blends will be better for grazing for sure. Consult your seed salesman or Extension specialist to help put a blend together for hay or grazing. Capitalizing on the opportunity to grow more forage in 2018 should be a focus of profit-minded cattlemen. Fall forage opportunities are very good this year given some rainfall. They may provide the extra feed and grazing days that we greatly need this year.